Providing service to an ultra-luxury residential property such as ONE OCEAN® Condominium is not to be taken lightly. ONE OCEAN® is situated in the heart of South Beach and serves as the exclusive residence to some of the world’s most powerful elite. Porter is extremely acquainted with maintaining excellence when it comes to high-end property management. He has spent more than 15 years in the luxury management industry. One Ocean Condo is located in the highly-sought after South Pointe, South of Fifth neighborhood. The world-renowned Related Group was at the helm of the pristine development. The signature design concept comes from the talented mind of the world renowned architect Enrique Norten, complimented by a private collection of art works and sculptures from around the world and perfectly articulated interiors by Ontario based internationally known designers George Yabu and Glenn Pushelberg of Yabu Pushelberg Design. “Providing “white glove service” does not end with maintaining a serene environment for residents internally. When they come and go from the building, the process needs to be seamless as well,” said Ruben Perez-Sanchez, Managing Partner at Elite Parking. 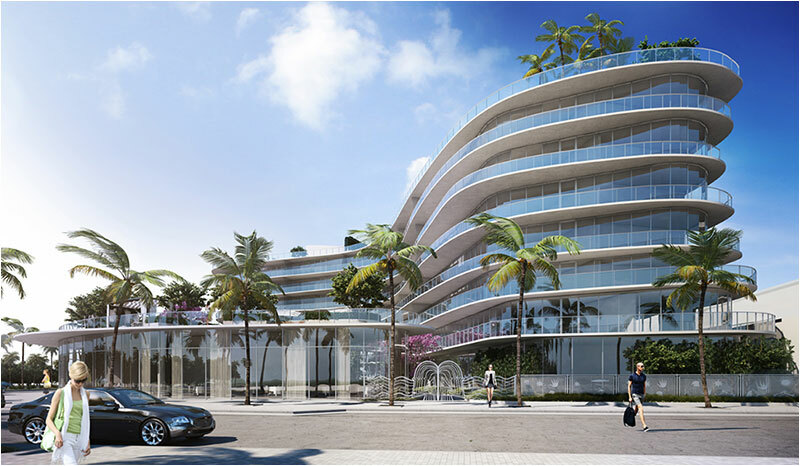 One Ocean Condo is also complemented by a street lined with contemporary eateries, art galleries and chic boutiques. The commercial aspect to the property brings the need for a parking company who knows how to balance the two entities. “To accommodate the residents and the commercial area, One Ocean Condo’s garage is equipped with lifts. Managing a garage such as this requires a company with experience in operating these lifts, while still servicing ultra high-end vehicles,” said Perez-Sanchez. “Our company is very experienced when it comes to running the commercial side of the parking as well,” said Perez-Sanchez. “After years of overseeing the parking within a luxury property, we know how to balance the needs of our residents as well as the guests coming to eat or shop,” explains Perez-Sanchez. 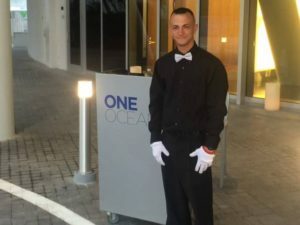 The attention to detail and importance of discretion is something that Elite Parking is very familiar with having provided the parking management for properties such as The Marea Condominium, One Ocean Condominium, Mediterranean Village I & II at Williams Island, Continuum Towers, Murano at Portofino, The Cosmopolitan South Beach, and Casablanca Hotel and Condominium. Elite Parking is a premier, parking solution provider with a long history in South Florida. Its founder, Alfred Lariviere, is a visionary in the Miami Beach parking and valet industry, and the company was joined by Ruben Perez-Sanchez, a technology visionary and entrepreneur with 30 years of success as a local computer network provider, dial-up ISP, National Broadband Provider, National Business VoIP provider and regional triple play cable operator. Today, the company holds a diversified portfolio of clients and provides the following services: parking management; valet parking; parking planning consulting services; technology integration and a state-of-the-art mobile management system, as well as cloud surveillance at no charge to the property.